This music was commissioned for a workshop event for young players, attracting a range of standards and experience. The first piece suggests a rather formal procession; the second has a more celebratory character. All the parts have some musical interest, though the fifth and sixth flute parts are not especially demanding. 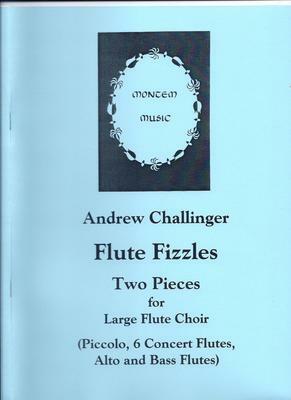 The two pieces should give a well-resourced flute choir something to work on but should also be useful for flautists coming together in a large gathering. What do you want to know about Flute Fizzles?